Pat is responsible for the day-to-day operation of the Council, including administrative tasks, managing the native plant program, working with landowners and community organizations to develop and implement restoration projects, and managing noxious weeds around the watershed. Pat has a MS in Environmental Science, with a focus on water quality monitoring and special project work in the Lower Columbia River. Pat worked previously for Conservation Districts in eastern Washington, and is also an avid coastal kayaker. 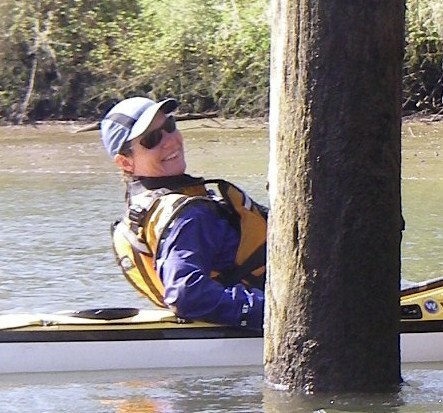 She lives on a floating home on Multnomah Channel, and frequently teaches kayaking with local clubs and at the coast.